A brother holds a special place in one's heart as he is the one who loves you as a friend and cares for you and protects you like a father. The bond between brothers and a brother and a sister is unique in itself with sweet memories to cherish with each passing day. When it comes to selecting a gift for your brother, the decision is not as simple as it seems. 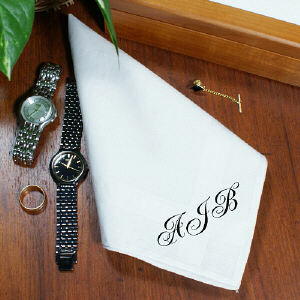 So here are some ideas and tips to help you select the best gift for your brother. 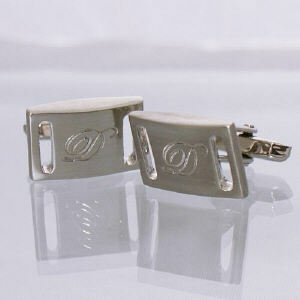 If your brother loves dressing in formals or is a working professional, then gifting him cufflinks can be a great idea. This can be an affordable and useful gift for him. Cufflinks come in verious shapes, designs, colors and price range. You can choose the one you want according to his taste and your budget. A personalized keyring with your brother's name on it can be an attractive and affordable gift option. A lot of variety can be seen in shapes, sizes, designs and feautures of keyrings with the option of bottle opener as a keyring making it even more useful as a gift. You can gift your beloved brother a leather wallet which can also be customized with his name engraved on it. The wallets can be in various themes such as army, sports, american hero and many more. You can select the one which suits your brother. If your brother loves traveling a lot, gifting him with a travel luggage can be a good idea. A nice travel lugggage can be a useful gift for him which he will chersih for years to come on each journey he makes. For a brother who is a sports freak, a sports pack can be the best gift. A sports pack can be personalized with your brother's name embroidered on it. You can choose the color he loves the most and size according to the sports played. A T-shirt can be an attractive gift idea for brothers for all age groups. If you are buying a t-shirt for your little brother, a t-shirt with his favorite cartoon character printed on it. For a brother in teenage, a t-shirt with his favorite sports player photograph or a nice inspirational quote printed on it. 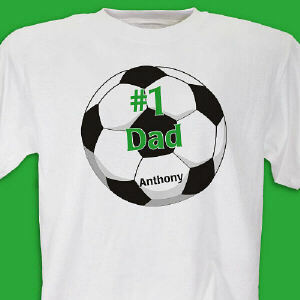 You can also choose to customize t-shirt for your brother with his photograph on it or his name on it. You can gift your brother with a coffee mug which can also be personalized with his name and a nice message for him written by you or a quote. 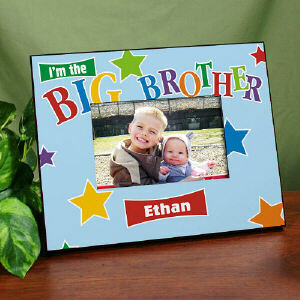 A photo frame with you and your brother's photograph on it will fill your brother's heart with joy. 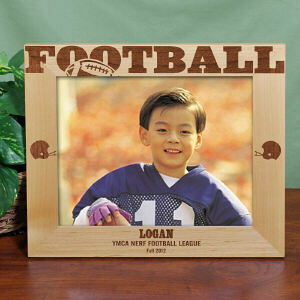 Photo frames can be based on various materials such as plastic frames, wooden frames, glass frames, silver coated frames, gold plated frames and digital photo frames.